The Facade is a project by artists Sakari Tervo and Tatu Engeström which started in Octobre 2009 on a Roma camp in Helsinki. 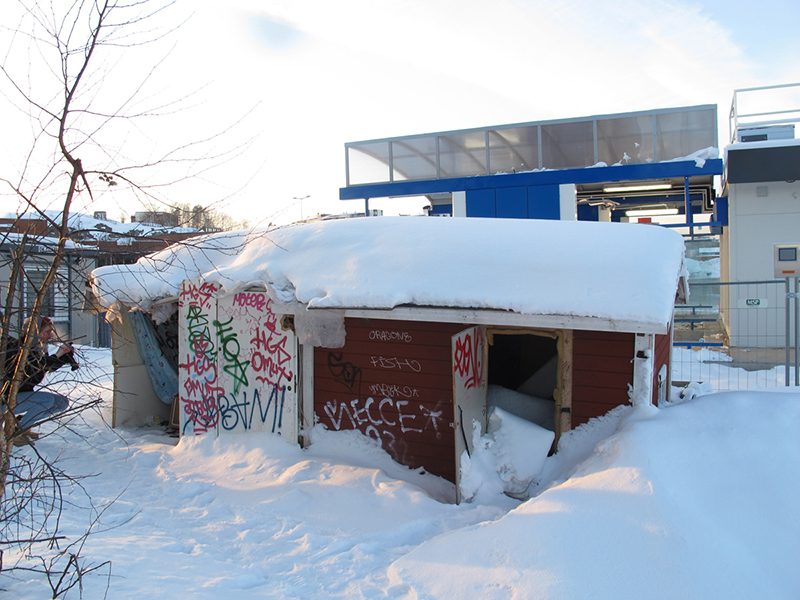 Engeström and Tervo built an architectural structure covering a shack inhabited by a Roma woman. The Facade uses the aesthetics of a traditional scandinavian wooden house and was based on wheels to prevent it from being considered as a permanent structure since there was no permission to build on the land. The inhabitants of the Roma camp kept on modifying The Facade so that the original shack from inside was taken apart and The Facade turned into a sealed house with four walls and a door. Later some parts of the camp were tourn down by the city of Helsinki, but The Facade remained untouched by the authorities. 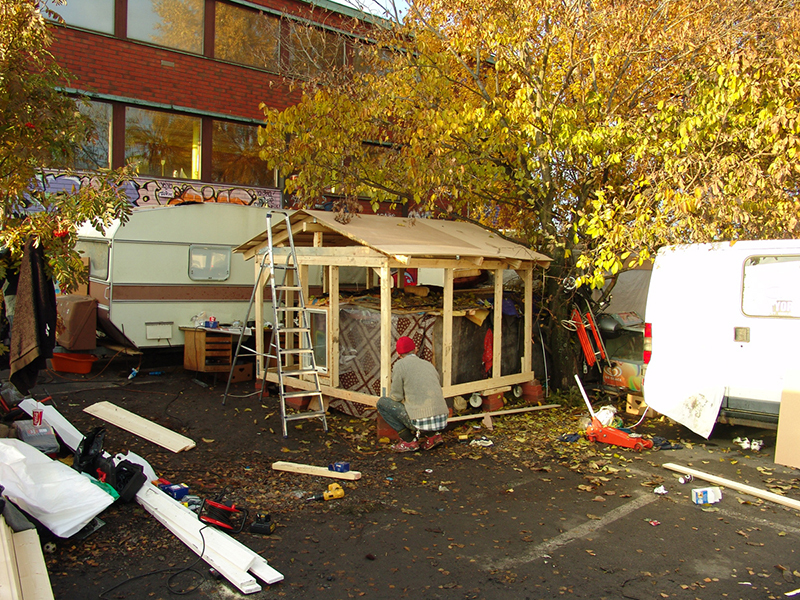 The Facade was used as a home for various people from Octobre 2009 until August 2011, when the City of Helsinki finally evicted the people living in the camp and demolished The Facade with it. 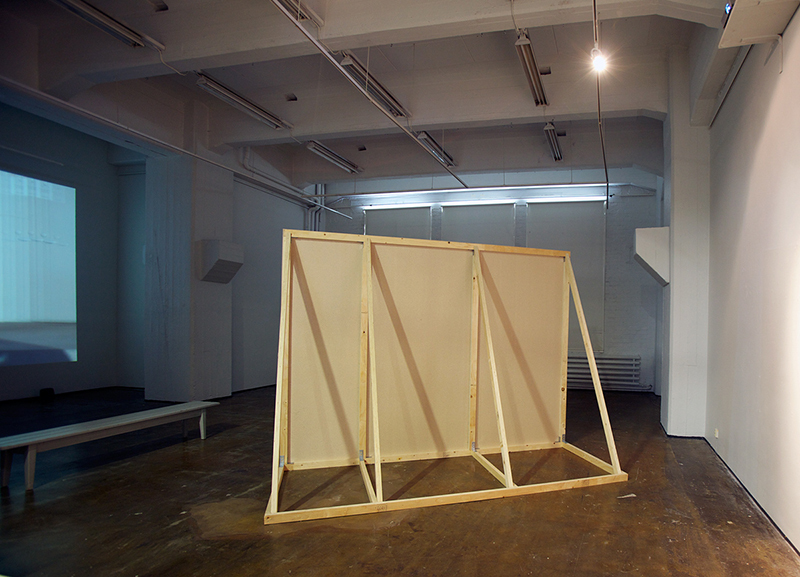 The Facade-project is displayed in the form of an installation that consists of an architectural structure built in the space where it is displayed. The structure also serves as a screen for a video projection showing the building process of the actual Facade in the context of the Roma camp. 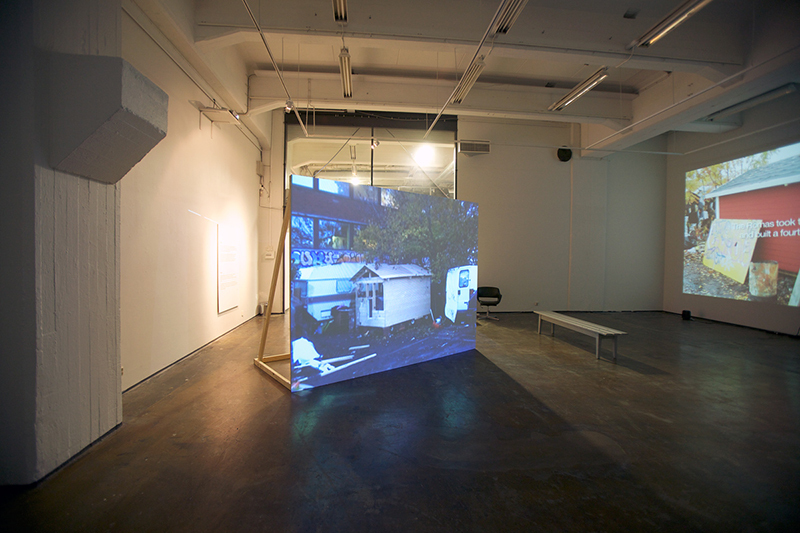 Displayed from a monitor is a documentary showing different stages of The Facade until it was demolished.